In the latest version - 3.0 for Nikon and 6.0 for Canon - there are three new features added which, according to the company, "make the system more powerful than ever". A “major ControlTL firmware update” for PocketWizard’s MiniTT1 and FlexTT5 radio triggers is now available to download. You don’t need your AC3 ZoneController to be on your camera hotshoe to adjust manual power levels any more. If the situation calls for it, you can hold the AC3 and FlexTT5/MiniTT1 in your hand, make adjustments and send them to your remote flashes with a press of the “Test” button. It is now easier to tailor HyperSync to your lighting configuration. The transmitter will automatically adjust HyperSync as you change your shutter speed and the receiver will tweak the timing based on your flash power. 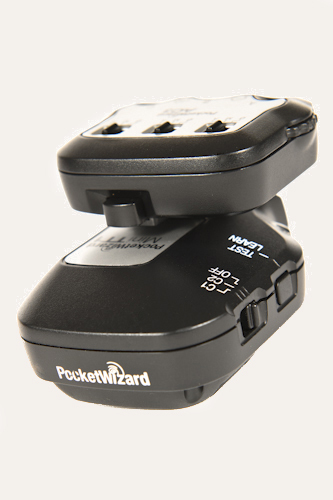 The PocketWizard Utility allows further customisation when you plug your PocketWizards into a computer. By cycling through multiple remote receivers, SpeedCycler mode will trigger a different flash/camera each shot. You can set up several off-camera flashes in this way to ensure one of them is always fully recycled when shooting high speed bursts. Or you could use the function to try out several different lighting set-ups without taking your eye away from the viewfinder. We’re excited about these new features for the ControlTL system and the creative potential they represent for photographers. Firmware upgrades such as this are a benefit for photographers who invest in PocketWizard radios. HyperSync Automation will be a game changer in that it opens up the amazing capability to use blazing fast sync speeds with flash units – creating amazing potential in sports or portrait applications. To download the update and to find out more information, visit the manufacturer’s web site.